Flint Hills Resources (FHR) is among the landowners that FMR has been working with to restore their portion of the ecologically vital Pine Bend Bluffs area. 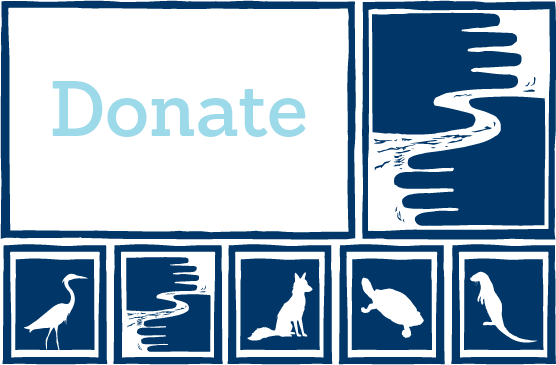 Starting with a natural resource management plan that was developed by the Minnesota Department of Natural Resources and FMR in 2000, we, with assistance from Great River Greening (GRG), has been heading up the effort to restore prairie and oak savanna on the FHR site. 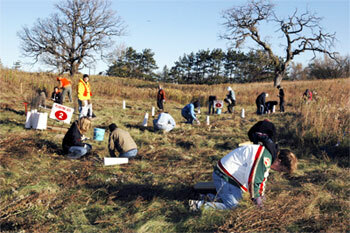 Volunteers learn to think like squirrels at this acorn planting event at the Flint Hills Resources restoration site in October 2006. The Pine Bend Bluffs cover an extensive area of woodland, wetland and prairie on both sides of a large bend in the Mississippi River about five miles south of downtown Saint Paul. The name of the area is derived from the large white pines that used to grace the bluffs prior to European settlement. A few of these trees can still be seen, towering above the canopy. The Pine Bend Bluffs area covers multiple public and private properties, among them Macalester Colleges Katherine Ordway Natural History Study Area and Flint Hills Resources. On the west side of the river, about 1,300 acres known as the Pine Bend Bluffs Natural Area spans parts of Inver Grove Heights and Rosemount. FHRs bluffland property contains about eight acres of high quality sand-gravel dry prairie, which is a rare natural community in Minnesota, especially in the Twin Cities Metropolitan Area. Since 2001, our restoration efforts have focused around the protection and enhancement of several of these dry prairie remnants. 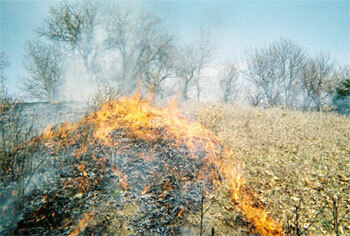 Prescribed burns and the removal of encroaching woody plants have improved the health the native prairie plants. FMR and GRG staff have also been studying and battling infestations of the exotic invasive cheat grass (Bromus tectorum) on these dry prairies for a number of years. Seeding two acres of old field to restore a native tall grass prairie. Restoring 30 acres of oak savanna. When this project began in 2000, the existing 12 acres of native savanna were highly degraded, mostly due to the invasion of common buckthorn and other exotic woody plants. These invasive plants were removed, along with a good number of non-savanna trees, leaving scattered, beautiful, old-growth oaks. This area was seeded with native savanna species and has been burned. In addition, a 17-acre old field is being restored to oak savanna. To date, this area has been planted with native prairie grasses and forbs along with scattered oaks. Developing an implementation plan for the oak forest portion of the site. On-the-ground work will begin in 2007. Volunteers have been an integral part of this restoration work from the beginning. On May 20, 2000, over 350 volunteers spent a beautiful spring day removing invasive buckthorn and planting prairie seedlings at the site. Invasive exotic plant species, such as European buckthorn, present the biggest threat to the native plant communities of oak savanna, tallgrass prairie, and the rare sand gravel prairie. On October 23rd, 2004, about 80 volunteers had an opportunity to think like squirrels. Volunteers were asked to plant 4,500 acorns at an oak savanna restoration on old field on the property that had ealier been seeded with prairie grasses and wildflowers. Adding oak trees was another step in returning the land to savanna, the historic plant community. In the course of these and other events, hundreds of community and Flint Hills Resources employee volunteers have assisted in additional buckthorn removals and other projects. This prescribed burn at the Flint Hills Resources restoration site helps native plants and grasses better compete with invasive species. FMR would like to thank the Legislative Commission on Minnesota Resources, the National Fish and Wildlife Foundation, and Flint Hills Resources for providing the funding for this restoration project. We would also like to thank Flint Hills Resources for their long-standing commitment to this project. Their dedication has certainly helped to make the Pine Bend Bluffs Natural Area a healthier place. Flint Hills Resources retains about 3,000 acres of land around its refining operations as a buffer to surrounding land uses. Much of this buffer land is in agricultural use or open space. In 2001, we were hired to examine the natural resources on this buffer property. In collaboration with Applied Ecological Services Inc. (AES), we conducted a natural resource assessment and developed recommendations on how the company could protect and manage a greenway system on this property. During the natural resource assessment portion of this study, AES and FMR used aerial photography and conducted site visits to determine land cover and relative health of the existing natural areas. We then recommended approaches for improving these areas; developed a strategy for linking into existing natural areas; and presented tools for permanently protecting these natural corridors.